You have a great story idea, or great desire to write a story. But maybe something is stopping you, or you've become blocked, or you just don't know how and where to start. I can help. I'm an award-winning novelist, a university-level writing instructor, and an internationally known writing coach. With affirmative advice and a recognition of your "ownership" of your story, I'll guide you to exploring both the surface and the depth of your writing-- your plot, your prose, your presentation, your themes-- to improve and intensify the reading and writing experience. It will be momentous, profound-- and helpful! One-Week Total Story Retreat: $6000 plus expenses. I am your story consultant for a week- up to 7 days! This can be adapted for larger groups, smaller groups, and individuals. Here is an example of a typical retreat situation. Morning: Structured classes, addressing level-appropriate story concerns. Afternoon: One-on-one and small group consulting. Evening: Plot/character brainstorming, pitch, and focus consultation. Groundwork level, for writers early in their writing experience, or mixed groups. See list of possible workshops below, but I can adapt them or invent new ones to suit your situation. I have taught dozens of different courses, and I'm happy to create new ones! Weekend Retreats. $2500 plus expenses. Two days to a great story. Four 4-hour sessions, or two 8-hour sessions. Evening brainstorming, coaching, or small group work if desired. One-day Workshops. $1400 plus expenses. Two 4-hour sessions, or one 4-hour class and one 4-hour brainstorming/coaching session. Half-day Workshops. $750 plus expenses. Contact Alicia if you're interested in a workshop or retreat of any kind. Four 4-hour sessions, or three 4-hour classes and one 4-hour brainstorming/coaching session. Also I'll be the group's friendly coach all during dinner! Since it was defined by Aristotle, the three-act dramatic structure has created conflict, built tension, and effected resolution in novels and drama works. In this workshop, we’ll work through the three acts of the story, identifying and designing the major turning points, and charting the character and plot journey. Once you have sectioned the plot into three acts, we can work on coming up with dramatic and plot-changing turning point events that will power up your pacing and intensify the reader experience. Stories start with characters—and in this workshop, we’ll get to know our characters from the inside out, by exploring their journeys, motivations, and goals, then using what we’ve learned to direct the plot. Scenes are what readers remember long after they’ve forgotten plot twists and character names. This workshop will help you imagine and design vivid, plot-changing, character-deepening, reader-fascinating scenes. The key to making the reader feel is to create emotion without emotion words, through powerful structure, incisive action, and subtle subtext. In this workshop, you’ll learn why when the character cries, the reader won’t—and how to evoke emotion rather than just describing it. Theme is the message, moral, or idea that emerges from the experience of reading your story. Whether your theme is obvious or subtextual, positive or negative, this workshop can help you use the theme not to preach but to unify the story and make it more meaningful and coherent. We'll use the technique of the dialectic and devices such as motifs and props to bind your theme to the story, making the reading experience more complete and satisfying. This is a subtle yet powerful way to take good writing and make it great. “Fast” isn’t the only pace! Take this workshop to determine what pacing is best to produce the experience you want the reader to have, whether exciting, contemplative, or emotional. Do you have a book you love, that you can’t give up on… but just hasn’t sold, or just doesn’t work? This workshop will give you strategies to reinvent the story to keep its essential “center” but work better for the new publishing realities. The author of the POV book will work with you to define the POV approach that’s best for your story and refine your prose and scenes to give the reader just the right experience. No rules, just tools. There is no “right POV,” just the one that’s right for your story. Dialogue isn't just speech. It's conversation-- action and interaction, cause and effect, stimulus and response. In this class, you'll learn how to turbocharge those exchanges between characters with background action, introspection, judicious pauses, quote tags, and of course, vivid and individual speech. Each student's assignments will receive personal comments and suggestions. 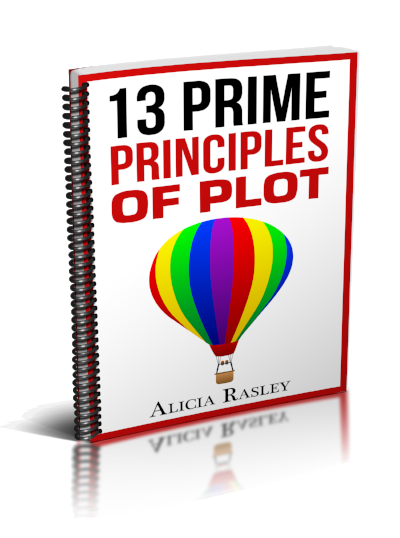 Readers might buy one book because of your plot. But having done that, they’ll buy all the rest of your books because of your voice. This workshop will help you do what many say can’t be done: Creating your writing voice and refining it to energize your stories. The internet has changed everything, especially in publishing. Let’s talk about how to adjust to the new realities of the post-Amazon bookworld, and how to define your own success and achieve it by letting go of the old paradigms while keeping what’s essential about story and yourself as a writer. Thank you for considering me for your next event. I love helping writers find their inner brilliance and unleash every ounce of their story's power!